What shouldn't you do when interviewing? Here are the most common job interview mistakes, blunders, and errors a candidate for employment can make. Unfortunately, it's easy to make these mistakes without even realizing it— and many of them are more common than you might think. Take the time to prepare before your interview so you don't have to stress out about blunders after it. When you interview for a job, it's imperative to look professional and polished. Although your attire may vary based on the position you're applying for — for example, you should wear business casual clothing to an interview for a non-professional job or startup casual garb to an interview at a small startup company — it's important to look well-dressed and put together, no matter what the company. Everyone knows that first impressions are very important in landing a job, but did you know that you can make a bad first impression before you even arrive at your interview? Running late not only suggests poor time management skills, but shows a lack of respect for the company, the position, and even your interviewer. Go the extra length to make sure that you aren't late, and arrive on time, or even early. Budget your time so that you make it to the interview five to ten minutes early. That way, if something unforeseen comes up on your way over to your interview, you'll have some cushion time. Ditch the coffee, soda, or water bottle before you enter your interview. If you need to fuel up, do it before you get to the interview. Not only is it unprofessional to enter with a drink, but during your interview, you should be focused on the task at hand: making a good impression, answering questions, maintaining eye contact with your potential employer, and paying attention throughout the entire interviewing process. Having a drink in front of you creates the opportunity for distraction—fiddling with the cup, or missing a question while taking a sip, for example. And although it may be a relatively unlikely possibility, bringing a drink into your interview also gives way to other unsightly accidents—like spilling the drink on the desk, on you, or even your interviewer! Before you get to your interview, silence your phone. Texting during your interview is not only rude and disruptive, but it's a pretty clear message to your potential employer that getting the job is not your top priority. For the same reasons, don't answer calls (and certainly don't make them) during the interview. To resist the temptation to check your phone, stow your phone in your bag before the interview. If you accidentally forget to turn it off, resist the temptation to check it if you get a message or call. Don't let your potential employer stump you with the question, "What do you know about this company?" It's one of the easiest questions to ace, if only you do some research before your interview. Background information including company history, locations, divisions and a mission statement are available in an "About Us" section on most company websites. Review it ahead of time, then print it out and read it over just before your interview to refresh your memory. Also check the company's LinkedIn page, Facebook page, and Twitter feed, if they have one. It's understandable that some of your older experiences may be hard to recall. Review the facts before your interview. If you need to, take the time to ​recreate your employment history, so your resume is accurate. It can be helpful to keep a copy of your resume for yourself to refer to during your interview, although certainly don't use it as a crutch. Of course, you should never "fudge" any facts on your resume. The more truthful you are on your resume, the better you will be able to discuss your past experience during your interview. 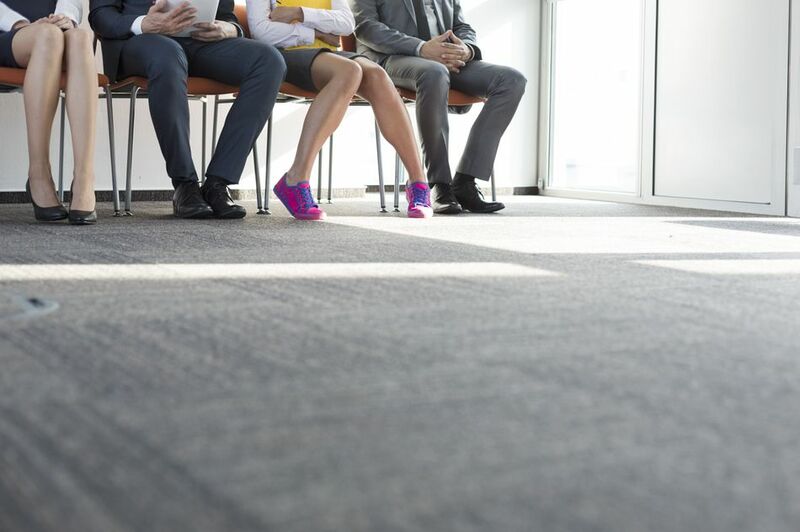 Don't let yourself zone out during an interview. Make sure you are well-rested, alert, and prepared. Getting distracted and missing a question looks bad on your part. If you zone out, your potential employer will wonder how you will be able to stay focused during a day on the job, if you can't even focus during one interview. If you feel your attention slipping away, make an effort to stay engaged. Maintain eye contact, lean forward slightly when talking to your interviewer, and make an active effort to listen effectively. While you may have no problem paying attention in a one-on-one interview in a private office, it's harder to stay in tune with the interviewer when you're meeting in a public place. There is nothing much worse than interviewing someone who goes on and on. The interviewer really doesn't need to know your whole life story. Keep your answers succinct, to-the-point and focused and don't ramble—simply answer the question. Don't get sidetracked and start talking about your personal life—your spouse, your home life, or your children are not topics you should delve into. No matter how warm, welcoming, or genial your interviewer may be, an interview is a professional situation—not a personal one. Avoid this mistake by using nonverbal communication to impress your potential employer. Your interviewer is probably going to ask you more than just the basics about where you worked, and when. To get a feel of your aptitude for a job, your interviewer is going to take advantage of the allotted time and flesh out everything he or she needs to know about you as an employee. Don't let yourself be caught off guard. Prepare for your interview by reviewing questions to expect and how to answer them. Be prepared with a list of questions to ask the employer so you're ready when you asked if you have questions for the interviewer. Review questions you should not ask during a job interview and the worst interview answers that you should avoid at all costs. Don't make the mistake of badmouthing your boss or coworkers. It's sometimes a smaller world than you think and you don't know who your interviewer might know, including that boss who you think is an idiot. You also don't want the interviewer to think that you might speak that way about his or her company if you leave on terms that aren't the best. When you're asked hard questions, like "Tell me about a time that you didn't work well with a supervisor. What was the outcome and how would you have changed the outcome?" or "Have you worked with someone you didn't like? If so, how did you handle it?" don't fall back on badmouthing other people. Instead, review how to answer difficult questions. Some job opportunities can't be saved, but depending on the circumstances, you may be able to convince the employer to reconsider you. Not all employers have the time or resources for a "do-over," but you might be lucky and find one who does understand that stuff happens and everyone can have a bad day. If you think you flunked an interview, take the time to shoot your interviewer an email explaining your circumstances and thanking them for the opportunity to interview. Here's what to do if you've blown a job interview, including a sample email message to send if you want to try to get a second chance with the employer.